Are you a confident person? If you are, then you don’t have any problems. But if you are not that confident, it is not too late to change because all you need is someone who has had hypnosis training. Hypnosis has been around for a very long time. If you think this is only for entertainment purposes, think again because studies have shown that it can help people with problems that are psychological in origin. Examples of problems that are psychological in origin are anxiety disorders. Part of that is PTSD or post traumatic stress disorder which occurs after the person has had a traumatic experience. People with hypnosis training can also help those who are suffering from an addiction. Studies have shown that it can help people who smoke, drink or take illegal drugs. To help someone with low self-esteem, the specialist has to talk with that person and find out why he or she is like that. Did something happen before? Most of the time, this is the reason and once that has been identified, work can begin. The session begins with the patient being told to sit on a chair or lie down on the floor and then just relax. Once the specialist sees that the patient is very comfortable, the most important aspect of the session is implemented, which is the power of hypnotic suggestion. Hypnotic suggestion is implanted into the person’s subconscious since this is what controls the conscious mind. To make sure that this works, this is repeated several times. The session may last from 30 minutes to an hour. It ends when the specialist instructs the patient to wake up with a clap of a hand, counting numbers backward or simply opening their eyes. One session may not be enough to boost your self-esteem. You will have to attend several more because you won’t feel anything yet. If everything works out, then your hypnosis treatment is a success. You will now appreciate your life for what it is and be optimistic about the future. Having high self-esteem makes it easier for you to make new friends and interact with others. If you feel like down after some time, recharge yourself by having another session with a specialist or get one of those CD recordings that are being sold in record stores. For those who don’t want to buy a CD or pay a specialist, you can download this free from a website because what you hear someone say is more of less the same. 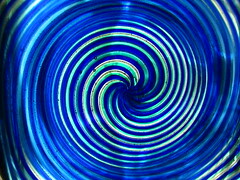 A person with hypnosis training will not be able to do much if you are not open to hypnotic suggestion. This is because if you have to believe what it can do otherwise you are just wasting your time and money getting help from a specialist. So, think hard before you decide to see a specialist. When you are ready, give one of them a call and then set an appointment. Once you walk in the clinic, tell the specialist what is your problem and answer whatever questions they ask. Low self-esteem is different from other illnesses because it does not go away after you swallow a pill. In fact, there is no medication for this type of a problem. The only one that can help right now is someone who has had hypnosis training.